Grind it with grated coconut, cooked rice, chopped onion and salt adding about 2 cups of water to a smooth batter. Add 4-5 ladleful of batter into this pan and cook covered until set. Oh,this one is a revelation.The kalthappam concept of mine was confined to the one with rice and jaggery..
this is simply great! !i love this...with a nice spicy chicken curry ...yum! 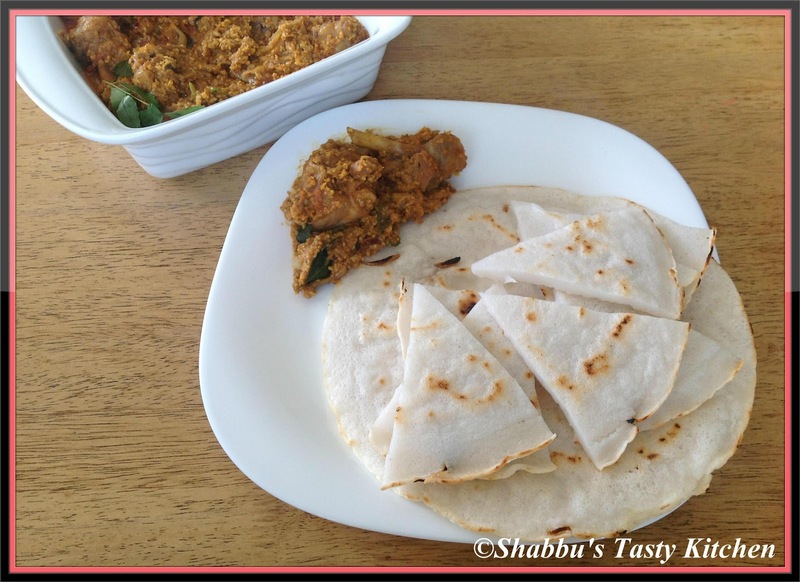 Hi Shabs this is very new to me thanks for sharing the recipe got to learn something new. looks neat and Delicious !!!! Kalthappams looks fabulous and inviting. Delicious love make some time. Delicious n perfect combo !! Have heard many times about this appam.. But never had a chance to try them.. This looks interesting & yummy.. Thanks for sharing.. Bookmarked..
looks perfect...close to rice bhakri in Maharashtra.